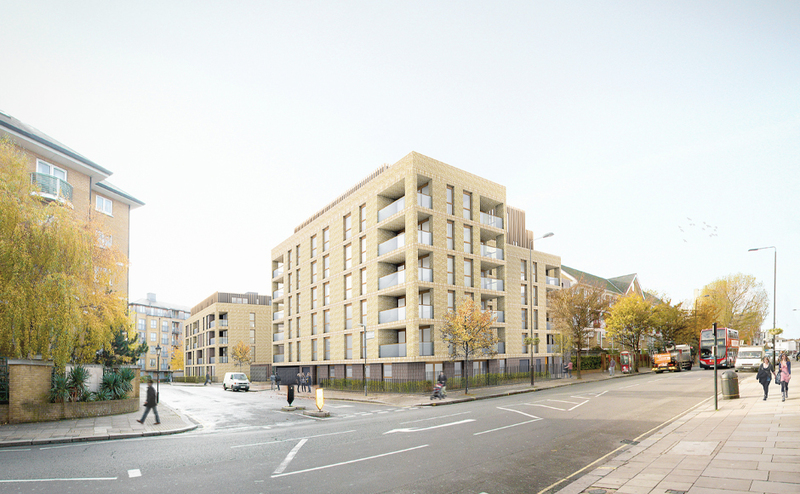 Avanti’s Harrow Road project is currently being submitted for planning. The site is currently occupied by two single storey specialist houses and a MUGA play area. The outline scheme stitches itself into the surrounding urban grain, responding in a bespoke way to edges and boundaries, giving each an appropriate character. A hierarchy of public (urban, busy) to private (inward looking, protected) spaces is also created. 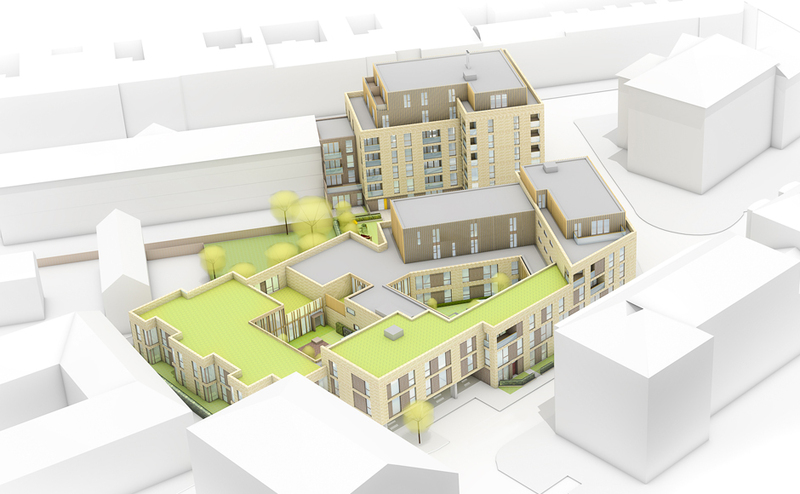 The residential accommodation is then scaled down towards the interior of the site ensuring noise and overlooking are minimised to the surrounding neighbours.